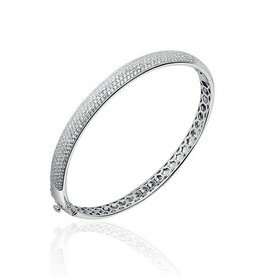 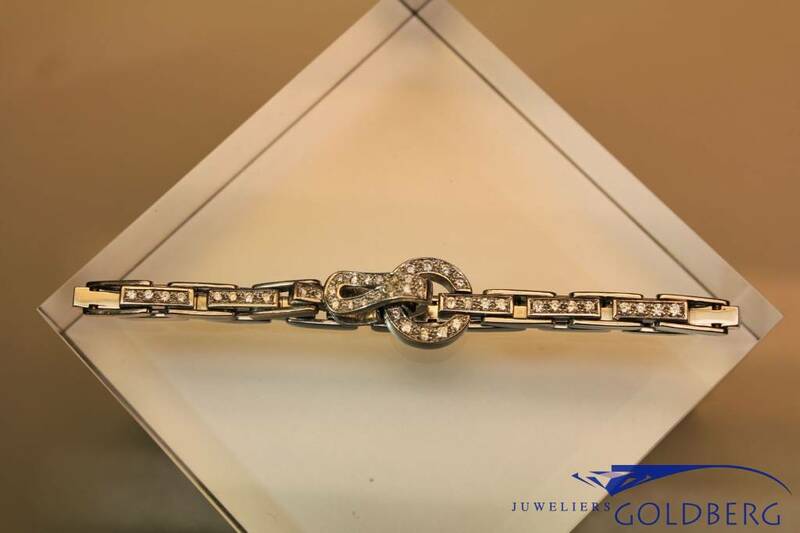 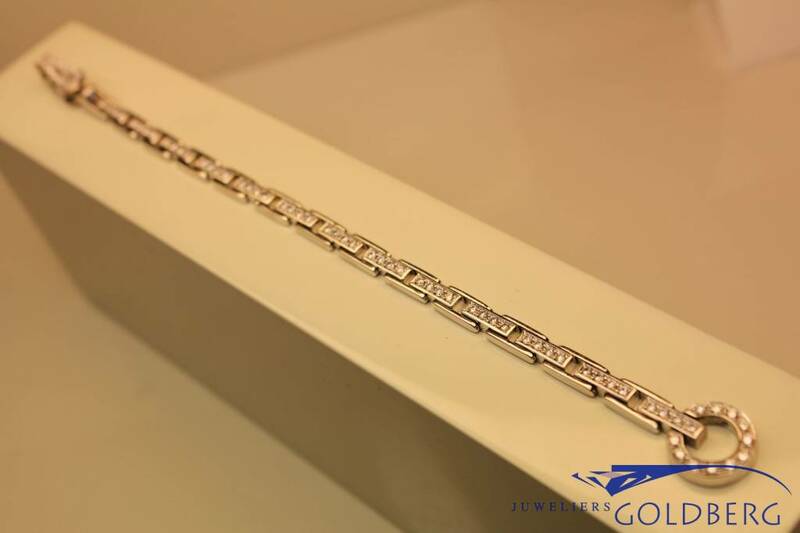 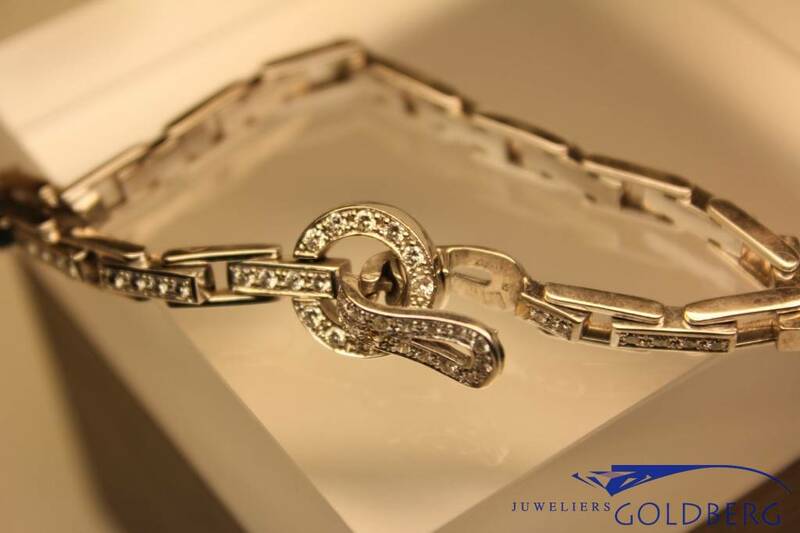 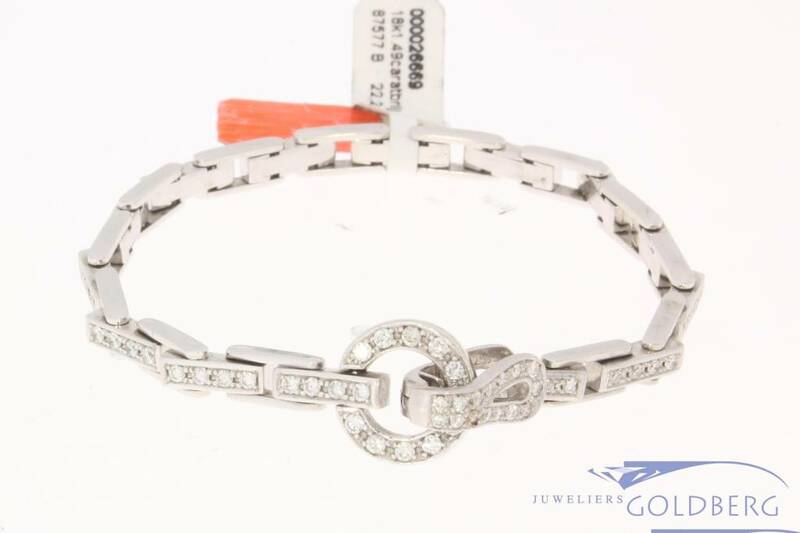 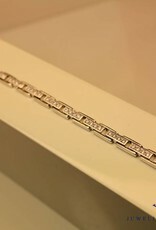 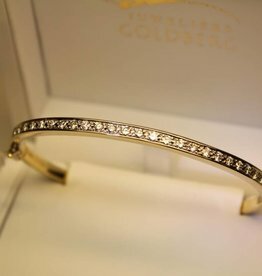 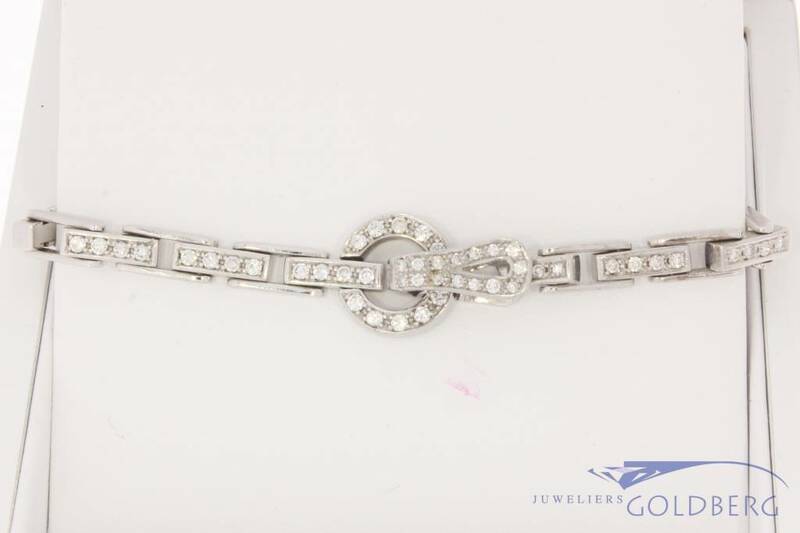 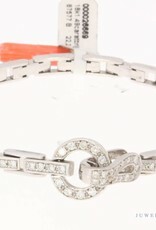 Very beautiful white gold bracelet with 80 brilliant cut diamonds (VVS, TW) of different sizes with a combined total of approx. 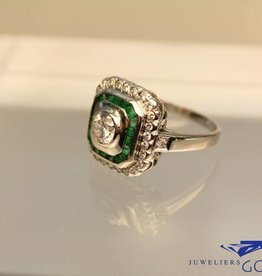 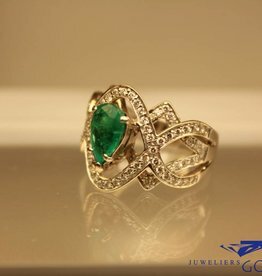 1.49ct. 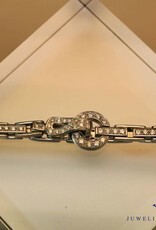 The bracelet is 17.5 cm long and 5 mm wide. 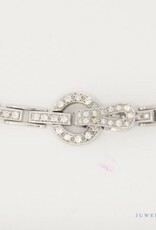 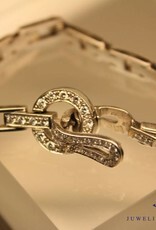 The clasp circle is 13mm wide.